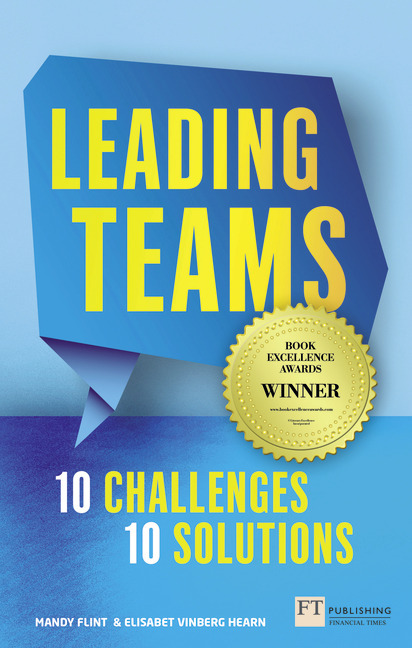 Leading Teams is built on the authors’ experience of coaching 1,000+ team leaders in over 15 global corporations for the last 15 years, during which they discovered the 10 main issues holding teams back. Each challenge includes a common scenario and step-by-step solutions/behaviours to counter each one. There's also a framework for how to lead a team-enhancement workshop, plus supporting plans and templates on their website (www.leadingteamsbook.com). Chapter 1: How do you build trust? Chapter 2: How do you overcome conflicts or tensions? Chapter 3: How do you encourage everyone to share relevant information with each other? Chapter 4: How do you create engagement? Chapter 5: How do you create transparency and openness? Chapter 6: How do you encourage long-term thinking? Chapter 7: How do you create a team that delivers and is well perceived? Chapter 8: How do you get a team to manage change effectively? Chapter 9: How do you get a team working together, all for one and one for all? Chapter 10: How do you get everyone going in the same direction? Mandy Flint is CEO of Excellence in Leadership, a global transformational change organisation. Her clients include: MasterCard, American Express, Virgin Atlantic & more. Elisabet Vinberg Hearn is CEO of Think Solutions UK Ltd, a leadership consultancy specializing in employee engagement & profitable corporate cultures. Her clients include: MasterCard, H&M, IKEA & more.